Metal plays a vital role in human’s life. There are three major periods of metal age - Copper Age, Bronze Age and Iron Age. The existence of human is divided into two great periods – ‘Age of Stone’ and ‘Age of Metal’. The metalworking follows four major stages such as mining, smelting, alloying and forging or casting. The Copper age was the first metal age that continued to the discovery of iron. Iron has gained industrial importance in history. Iron is the most usual element in the Earth’s crust and has been used since ancient times, although copper alloys, which can be melt with a low temperature was used earlier in human history. Iron is believed to be a blessed metal and iron is a wonderful material for making tools and weapons. Indian artisans have been using many different metals like iron, copper, silver and alloys like bronze, bell metal and white metal etc. The iron pillar at Mehrauli (Delhi) is one of the fine example of Indian craftsmen’s excellence which belongs to the Mauryan and the metal art work reached great heights during the Chola period. The metal artwork known to Indians for almost 5000 years from now. Whereas Archeological evidences proved that the metallic culture is very old as the Indus Valley Civilization. The beautiful figurine of ‘dancing girl’ from Mohanjodaro stands evidence of this fact. 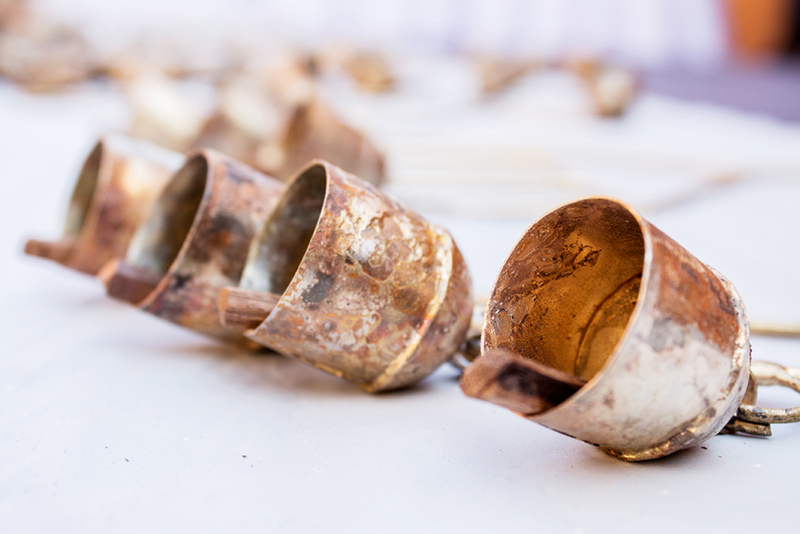 Metals like bronze, brass and bell metals are formed by alloying the copper with other metals mainly tin and zinc. 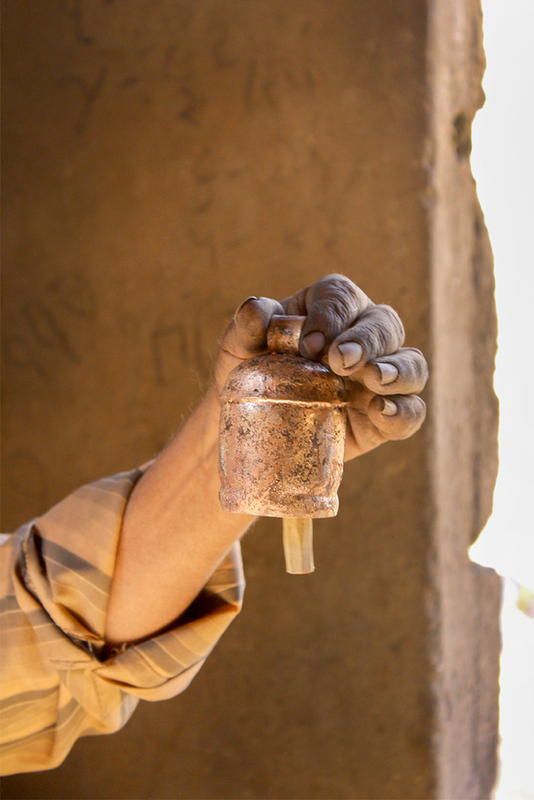 The art of making articles from bell metal is one of the important craft form in Kutch, Gujarat. Kutch is located in the state of Gujarat, fortunate with one of the most environmentally and culturally rich landforms. It is an ancient land and the second largest district in India. The history of Kutch traced back to the Indus Valley Civilization whereas several sites are related to Indus valley civilization and also mentioned in Hindu mythology. Kutch is a cultural district of Gujarat and famous for its various handicrafts like Embroidery, Jewelry items, Wall paintings, Mud art, Rogan painting and Bell metal art. The Great Rann is a salt wetland in Kutch district, which is the most attractive place, and the beauty of nature, culture and tradition, superfluity of colours and wealth of joy and beauty all together reflect the brilliance of the Kutch. Manufacturing bell metal products has a glorious past in India. Bell metal is an alloy of copper and zinc. Whereas these alloys are used to produce articles such as sculptures of deities, mythological figures and animals, pots, pans, utensils and bells etc. The sound of bells signifies the seven musical notes. 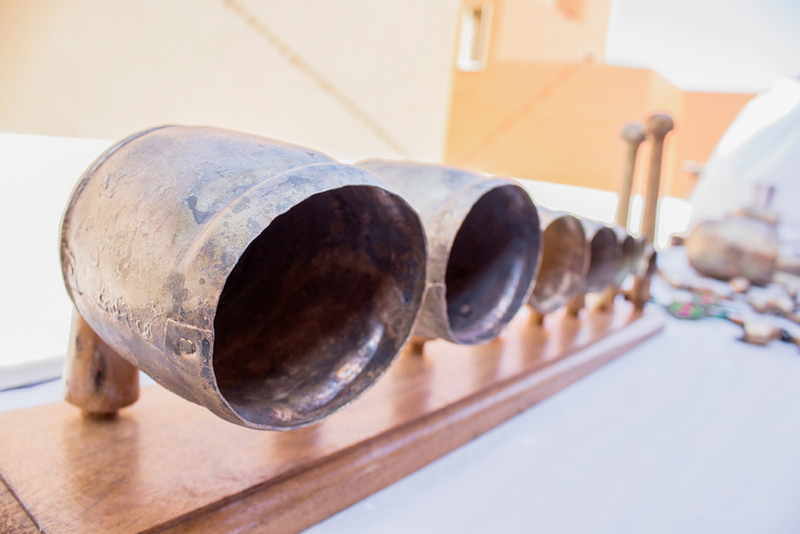 Bells are one of the oldest percussion instruments. The unique ability of producing sounds that reaches vast distance and was used by several cultures and ancient civilizations as a mode of communication and also as a musical instrument. It is believed that each part of the hand crafted bell represent a particular deity, goddess Saraswathi (Goddess of wisdom) resides on its clapper or tongue, Lord Brahma on its face, Lord Rudra on its middle and vasuki on its stem. The handle of the bell denotes the life-giving energy or vital force (Prana Shakti). Pleasantly sounding bells is an accurate mixture of copper and tin (4:1 i.e., 78% copper and 22% tin). Mr. Luhar Ismail from Zura village of kutch district, a well-known artisan who started his career in making bells at his early age of twelve. Later on he stopped making bells for some personal reasons and then again he started making bells from past fifteen to twenty years. The income will be depending on the orders which he gets. Artisan Mr. Jan Mohammed S. Luhar from Zura village of Kutch, a famous artisan and national award winner who is blessed with this unique skill from his father. 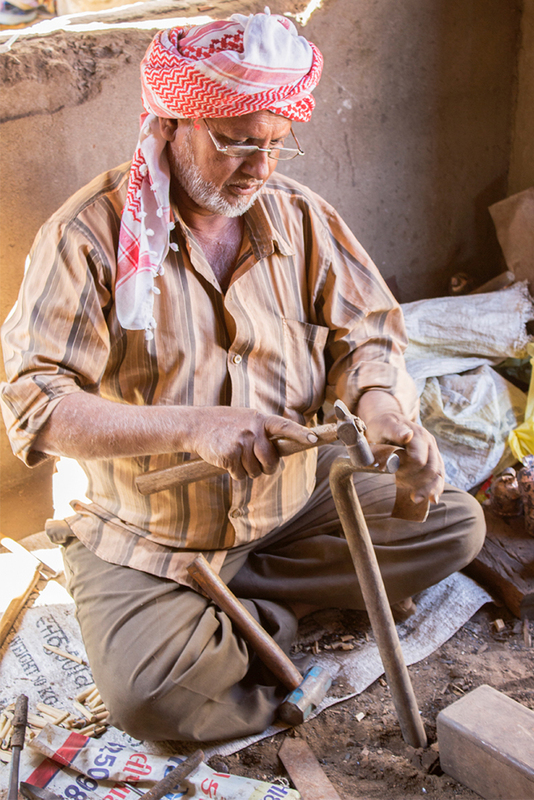 Before artisans were very particular about their work by making a typical bells later on they come up with the innovative ideas of making various designs of bells like wind chimes, doorway hangings, key chains and finely tuned musical instruments etc.